We are a software and IT services company in Tokyo, Japan. The literal corporate name is pronounced "moo-joe-gi-ken" (Mujogiken). "Giken" (技研) translates to Laboratories and thus is our English translated name, MujoLabs. Our experience and knowledge enable us to provide IT consulting and Japanese/English translation services. These services then provide insight and inspiration for development of unique software solutions. Our immediate goal is to focus on growing our client base and expand our services and knowledge base in accordance to our customer's needs. Our mission is to continuously improve our capabilities in pursuing smarter ways for our customers to complete their tasks. We achieve this through our experience and presence in the corporate IT	scene, leading to sharp analysis in filling niche needs and delivery of unique and practical solutions. Koji has worked in both the US and Japan for over 14 years in IT and Computer Forensics. Prior to founding MujoLabs, he held technical positions at multi-national organizations including the Mathworks, Bloomberg L.P., and Deloitte Tohmatsu. Koji holds a Bachelor of Science in Computer Engineering from the University of Wisconsin - Madison. He is fluent in English and Japanese and has experience interpreting and translating. 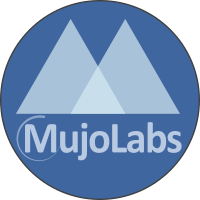 * In English we go more commonly by the translated name MujoLabs. K.K. denotes kabushiki kaisha, a corporation. Pricing Please see our Products and Services pages. Bank Transfers to be completed within 7 business days. Product Delivery Delivered after confirmation of payment. Notification is sent by Email. Refund Policy We do not provide physical refunds due to the nature of the product. A software trial period is available.